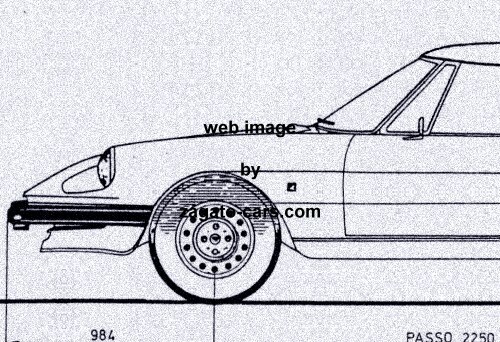 Alfa Romeo Spider Series 3 Pininfarina Blueprint with 4 Different Views. 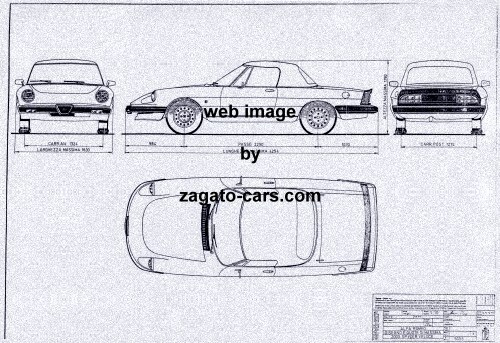 This blueprint depicts the Alfa Romeo Spider Series 3 (with rubber rear spoiler) in a scale of circa 1/10. It measures some 60 x 85 cm or 23.5 x 33 inches.